There are around 700 different species of bacteria and fungi living in our mouths and many take part in the formation of bacterial plaque. This plaque is a living biofilm that forms in the mouth on teeth, soft tissues, dentures and fillings. It forms extremely quickly and every bacteria divides into two bacteria every 20-30 minutes. Overnight while you are asleep a plaque will form that fills the spaces between your teeth and covers the tooth surfaces. You might not see it because it is tooth coloured but it’s there nevertheless. Biofilm grows quickest at night because during the hours of sleep you don’t chew food and so there is no natural cleansing taking place due to the wiping action of food or the tongue. With this huge growth capability, the plaque biofilm must be removed both before going to bed and when you wake up. 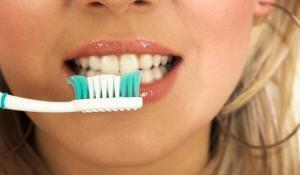 Remember, it is the action of the bristles of the toothbrush that disrupts the plaque biofilm. Toothpaste does not clean your teeth of this film. Toothpaste merely acts as a transport for the fluoride contained in the toothpaste to help in the fight against tooth decay. So don’t expect the toothpaste to clean your teeth for you. It’s a job for you! Twice in 24 hours every day of your life. Failure to rise to the challenge will mean tooth decay and gum disease. Remember, you only need to clean the teeth you want to keep! 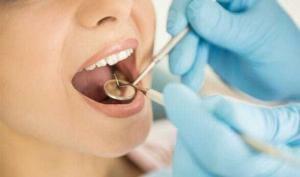 Adults generally should routinely have their teeth checked every year. However, some people have never had a filling and have no gum disease and so this would seem a suitable period of time between dental visits, perhaps extending the period between checks up to 18 months in some cases, on the advice of the dentist. However other people have large numbers of heavily filled teeth and therefore they stand a far higher chance of experiencing decay at the edges of the fillings. These unlucky individuals need to be seen more often. The other condition that indicates the need for regular care is gum disease. Patients who suffer from bone loss around their teeth from this condition may have to be placed under the ongoing care of a dental hygienist and may have to be seen up to 3 monthly. There is therefore considerable variation in the dental attendance patterns for people depending on how much dental disease they have suffered previously and how well they look after their mouths. The best way to get it right is to discuss it with your dentist and ask what factors contribute to how often the dentist suggests you attend. After having your teeth checked by the dentist, you will be able to discuss the findings of that examination. If you have deposits of plaque or tartar present on your teeth or if your gums show signs of inflammation, the dentist will suggest you see the dental hygienist. Some practices don’t have a hygienist and then you will need to receive any care from the dentist including cleaning and education on methods to prevent gum disease. A dental hygienist is able to provide you with very thorough tooth cleaning and stain removal leaving your teeth feeling smooth, clean and your breath fresh. They will be able to help you find ways to clean in areas you may have found difficult previously and they can discuss with you any local areas of gum disease where you may have started to lose the bone around a tooth or teeth. This bone loss is the result of gum disease and if it is not treated the result is an infection, bad breath and eventual premature tooth loss. Make the hygienist a friend and pay a visit regularly to keep your mouth healthy and fresh. I'M AN ANXIOUS DENTAL PATIENT. HOW AND WHERE CAN I GET TREATED? You’re not on your own! Many people fear those dentist visits too. However, these days dentistry has come a long way and there is no excuse for any dental procedure to cause you pain. Often, dental patients with anxiety have a deep-seated underlying fear of some particular aspect of dental care. It may relate to claustrophobia, or a loss of control, needle phobia, past bad experiences, childhood abuse, or they may be unable to find any reason for their fear. At NQ Surgical Dentistry we have experience with all types of patients as Dr Priestland has been treating anxious patients with intravenous sedation since 1986 and he has considerable experience in this field. Dental anxiety varies considerably in its severity and so we can tailor your treatment and how we manage your fear or anxiety to your individual situation. Before you decide how to proceed, call us and come and discuss your problems and see how we can help you. WHAT IS A CROWN AND WHY ARE TEETH CROWNED? A crown is a tooth covering made in a dental ceramic laboratory that looks exactly like a natural tooth and is made on models of your teeth so the dentist can fix it in place on your natural tooth to cover the remains of the tooth structure. The reason a crown is fitted is either to strengthen a tooth or to mask an unsightly tooth. In the first instance, teeth may have been fractured or heavily filled and there may be relatively little remaining tooth structure. In that case, placing a filling is not going to strengthen the tooth, but rather weaken it. In that case, covering all the remaining natural tooth with a strong crown will prolong the life of that weakened tooth and save the tooth being lost prematurely. In the second instance, where a front tooth is dark, discoloured, fractured, heavily filled or just unsightly, it is often possible to prepare the remaining tooth structure and provide a natural looking crown to improve your smile. Many patients with unsightly smiles are self-conscious about their appearance and wish something could be done to improve their looks. They often feel embarrassed and are not aware of what can be done for them. Many patients who have received anterior crowns improving their appearance regain their self-confidence and start smiling again. So why not discuss your smile and how you feel your teeth should look with us. The wisdom tooth is the last tooth to come into the mouth. They generally appear between the ages of 17 and 25. However, often there is little room for them and they may become misplaced and are then unable to come through correctly. This leaves part of the tooth covered and plaque can enter under the flap of gum covering the tooth and cause infections. These can be very painful, can cause significant facial swelling and in occasionally the infection and swelling can endanger the airway leading to a medical emergency. Not all wisdom teeth need to be removed but after infections or in the case of grossly misplaced teeth or the presence of cysts, it is usual to have the tooth removed so those future problems are avoided. SHOULD I HAVE MY WISDOM TEETH OUT? If you have uneven teeth and your wisdom teeth are trying to come through causing discomfort, it is worth seeing a dentist and having a dental survey Xray taken called an OPG. This shows the relative position of all your teeth and allows the dentist to assess your problem. It may be necessary for your dentist to refer you to an orthodontist for advice on the best treatment. 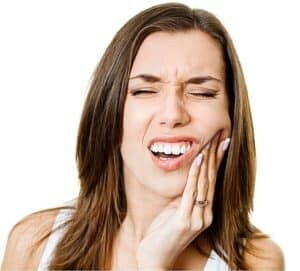 If you have suffered repeated issues with your wisdom teeth including infections, pain or swelling, it is likely that the wisdom teeth may have to be removed. There are so much information and so many factors that must be considered before performing surgery to remove impacted wisdom teeth that it is best having this done by someone who is trained and experienced in this area of dentistry. It is also good to have a full discussion with that dentist to have all your questions answered fully. 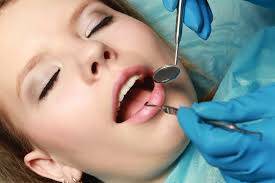 You may want to have the teeth removed while you are asleep as a surgical day case or if it is one or two teeth you may choose to have it done while under intravenous sedation avoiding the need for hospital day case admission. So talk to the right person, who routinely performs this type of surgery. Call us, we can help. WHAT'S THE BEST WAY TO REPLACE TEETH? Teeth can be replaced in either of three ways; by a removable denture, a bridge or using a single or multiple dental implants. There is no best way, as every situation is different and there are many factors to consider in making the decision on how to replace a single or multiple missing teeth. Some patients have already made up their minds they don’t want to wear a denture and have to take it out at night. Others may want the best possible appearance and depending on the shape of the gum and the underlying bone, tooth replacement may need more than just the addition of a tooth. Remember your appearance depends on both the colour and position of your front teeth but also the colour and shape of your gums. This means you really need to discuss your wishes with the person who is offering treatment. Not all dentures are bad, they aren’t all loose and they don’t all move when you talk and eat. Equally not all bridges look fantastic. The final appearance depends not only on the dentist’s choice of treatment but it also depends on the quality of the work done in the dental laboratory and the highly trained and artistic dental technicians and ceramists who make the bridge. Before making any decision it is worth having two opinions to see how different dentists approach the problem and what they can offer you along with any variations in cost. Where costs vary, don’t be shy, ask why the variation exists. Remember that high quality dental ceramic work demands highly trained and skilled ceramic technicians. Finally, check your work is going to be made in Australia and not sent overseas to be made in conveyor-belt-type laboratories in Asian countries where the cost of manpower is far less but at the same time, dental materials used may not be of high quality and your dentist has no way of knowing what is used in these laboratories. Aussie-made is the answer. WHY DOES MY DENTIST WANT TO KNOW MY MEDICAL HISTORY? Your medical health affects the health of your mouth and many medical conditions can be diagnosed first from changes seen in the mouth. Your dentist has been trained to observe the condition of your teeth and the soft tissues and from the appearances and colour of tissue, signs of tooth wear and erosion on teeth, the presence of ulcers, fissures on tongues, pigmentation on oral tissues, inflammatory changes in the gums, any many more factors, the dentist may be able to identify the early stages of medical conditions. Dentists frequently refer patients to their GP’s for further investigations. This is part of a dentist’s training. You may also be taking medications and this is something the dentist needs to know to avoid giving you an unsuitable drug that may adversely affect the treatment you are receiving from your GP. Blood pressure medications, asthma medications, anticoagulants (blood thinners), thyroid medication, rheumatoid arthritis medications to name only a few, can have a profound effect on the dentists’ treatment with drug interactions and there may be a need to modify the plan on how to offer treatment to patients to minimise risk. So don’t be shy, tell all. 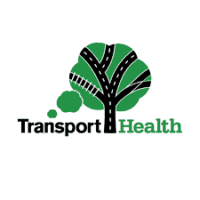 We are covered by the same rules of confidentiality as your GP. Anything you tell the dentist is private and entirely confidential. WHEN SHOULD I TAKE BABY TO SEE THE DENTIST FOR THE FIRST TIME? It is a good idea to introduce young children to the dental environment as soon as their baby teeth have appeared in the mouth. Take them along so they can have a ride in the dental chair sitting in your lap. As they get a little older they will be happy to have a ride on their own and with the confidence gained by the return visits they can be encouraged to let the dentist or the dental therapist have a look around the mouth. Introducing children to having checks and to having a dental mirror in the mouth at an early stage is useful and part of training them to accept dental visits as a normal part of life with nothing to be afraid of. Remember, if you have any anxiety about your own dental visits, don’t let your child know, don’t speak about it, just be positive about dentistry in order to avoid handing on your concerns to your child. It’s a great idea to introduce your child to the dental therapist who is trained specifically to treat children. Talk to your own dentist and see if they have a therapist working at the practice. Generally, therapists have a surgery decorated with kiddies paintings, toys and they do their best to make the surgery a child-friendly environment. Ring around your local dentists and see who has a therapist. Give them a go and see how different children’s dentistry can be. HOW CAN I HELP KEEP MY CHILDREN’S TEETH HEALTHY? A dental check-up is a time when it is possible to dry your teeth and check them in detail for two main diseases, dental decay and gum disease. The frequency of these checks varies through life. Children with baby teeth need to be seen twice a year because their teeth are softer and more liable to decay. Another reason is that the daily removal of their plaque biofilm is difficult to achieve consistently. Sometimes they may not co-operate fully and access to little mouths can be difficult too. This is why we suggest twice a year as a general rule. Some children can be identified as being at particularly high risk of dental decay and in these cases, more frequent checks would be a sensible idea. As children grow up and take on their own responsibility for tooth brushing, they need to receive training to carry out this important task and the best people to offer this support are the dental hygienist or therapist who may suggest using a disclosing pigment to show up the plaque on the teeth to help the child see the problem and remove it. Additional dietary information can be provided to the accompanying parent in an attempt to reduce the hidden sugars in the child’s diet and to reduce the frequency with which sugars are consumed. They can talk about the use of fluoride and other remineralising gels to be applied to the teeth and the frequency of dental checks for your child based on their past dental disease experience, their standard of plaque control and their diet. HOW CAN I KEEP MY ADULT TEETH HEALTHY? As an adult you will only have this set of teeth so how can you keep them for life? Caring for teeth is no mystery but there are tips and tricks that will keep the teeth and the gums healthy. Most of these is to learn how to be effective when you brush. Lots of people brush twice a day and many of them fail to remove a great deal of their plaque resulting in dental decay and gum disease despite their apparent attempts to look after their teeth and gums. Using a brush correctly, using it for adequate time and using it often enough are the three factors you need to learn, but of these, using it correctly is by far the most important! The dental hygienist can teach you all you need to know but only you can put the right tips into action. After correct brushing comes to the use of other dental cleaning aids to remove the plaque from the most difficult sites, between teeth and under the gum margins. Knowing which aid to use in which site has to be taught and once again this is where you need a dental hygienist to explain and teach. One tip about toothpaste is that it is really only a vehicle for fluoride to help people expose their teeth to fluoride in an attempt to improve the tooth surface’s resistance to acid attack. Toothpaste does contain some detergent that makes it foam, but that is of no help in removing plaque. It’s the brush that does the magic, not the toothpaste. The next thing you need to do is to limit the amount of sugar you feed to your plaque. The worst thing people can do is to drip-feed sugar into the mouth by constant snacking on foods that are either overtly sweet with added sugars or pre-packaged foods that have hidden sugars in them used by the food manufacturers as both a taste enhancer and as a preservative. Regular sugar feeds the plaque and allows constant production of acid in the plaque held against tooth surfaces. This acid dissolves mineral from within the tooth structure leading to cavity formation. To reduce the activity of acid in the mouth you should neutralise the acid by using an alkaline food. This might include a drink of milk or chewing a piece of cheese. Another way to remove the acid in the mouth is by increasing the production of saliva to wash away acid residues and this can be achieved by chewing sugar-free gum after eating sugar-containing foods. There are many tips to help maintain oral health, so talk to your dentist or dental hygienist and learn how you can help reduce dental and oral disease in your own mouth. HOW SHOULD I CARE FOR MY DENTURE? Dentures are made of acrylic resin and need to be cleaned thoroughly. Like teeth, dentures become covered in a film of dental plaque, which is a biofilm that contains proteins, bacteria and fungi. Mechanical disruption of the live and growing biofilm is best achieved using a brush and a liquid soap. Don’t use hot water and don’t use toothpaste! The hot water cooks the protein that then hardens onto the denture surface, and toothpaste contains abrasive particles that can scratch the surface of the denture acrylic and this then allows fungi to grown into the acrylic. Soak dentures in a proprietary denture cleaner that gently removed any food matter or bacterial deposits but do this after thoroughly cleaning the denture first. A regular soak in white vinegar mixed one part vinegar to two parts water will dissolve any minor developing deposits of tartar that can form in imperfections of the denture surface, particularly on the rougher surface that normally lies in contact with the gum surface. Dentures do not last forever. 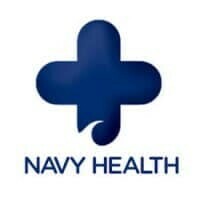 Have them checked for fit, for function and for any damage each year just as you would have a dental check. This applies to all dentures, including complete dentures. When you have your denture check, it is important the dentist or prosthetist checks the soft tissues under the denture for any abnormalities. For advice on dentures, speak to your dentist, hygienist or a dental prosthetist (a trained dental technician with clinical training that enables them to perform all the clinical stages and technical stages for denture construction). WHAT IS SLEEP APNOEA AND HOW CAN A DENTIST HELP? Sleep apnoea is a condition where the soft tissues of your throat and airway collapse and closes the opening so that air cannot enter and leave the lungs. It happens during sleep due to the relaxation of the muscles and the fact that the lower jaw is able to open and fall back allowing the tongue to close off the airway by sealing against the back of the throat. Each time this obstruction occurs, air stops entering and leaving the lungs so that the body begins to use up the oxygen that is present in the blood. Gradually the level of oxygen drops in the blood, and as a result, the brain begins to receive blood with a significantly reduced load of oxygen. This leads to a condition called hypoxia. The brain needs a good supply of both nutrients and oxygen if it is to function efficiently so now the receptors that monitor the level of oxygen in the blood informs the brain of the danger and the brain then causes you to awaken sufficiently to move the jaw forward and re-commence breathing. This regular hypoxia and awakening mean that the brain is unable to repair and replenish natural stores to ensure efficient function during the day. As a result, you begin to feel tired, and unrefreshed on waking in the morning. Your ability to concentrate is seriously impaired, and several other symptoms may arise that a GP may detect leading to a suspicion that you suffer Obstructive Sleep Apnoea (OSA). You will then be referred for a sleep study to measure several factors including your levels of oxygen and the frequency of obstruction. If you are overweight, then weight loss will be advised as part of the overall treatment. Depending on the severity of your OSA, you may be treated with either a constant positive airway pressure (CPAP) device. If your OSA is mild to moderate, then you may be advised by the sleep physician to obtain a mandibular advancement splint (MAS). The MAS consists of two acrylic splints worn on the teeth having the effect of holding your lower jaw forward during sleep thereby holding your tongue forward preventing it from sealing of the airway against the throat. Some dentists undergo additional training in dental sleep medicine to provide this type of treatment. 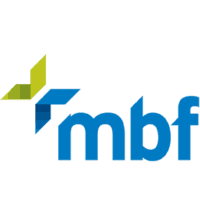 They attend courses and are certified to offer MAS therapy after studying sleep medicine so that they have a thorough understanding of the condition and its effects. Patients who fail to receive treatment of OSA often develop raised blood pressure and there is a higher incidence of stroke in this group of OSA patients. There appears to be a link between OSA and patients who grind their teeth, have headaches, and other jaw joint issues. If you think you have OSA it may be worth discussing it with your dentist or GP and then you will need a sleep study before treatment can be provided to make the diagnosis. WHAT IS DENTAL TOURISM AND IS IT A PROBLEM? Medical and dental treatment can be expensive. 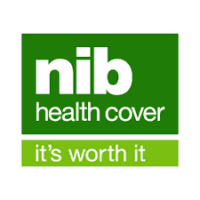 However, the cost of providing care to a high standard in a safe and effective manner in a well-regulated environment is not cheap. However, this regulation ensures the quality of surgery, treatment, medications or devices are of the highest standard. Overseas, where there is either less or no regulation, standards of care can vary enormously. This means that clinical results can also vary widely and may even result in harm to the patient. Seek more than one opinion, obtain estimates here in Australia and discuss all the treatment options with trained and suitably qualified medical or dental professionals. Here in Australia, practitioners are registered, their performance is monitored, their drugs and devices have to have passed the approval of the Therapeutics and Goods Authority (TGA). Such maintenance of standards may not apply overseas. WHAT'S A ROOT CANAL TREATMENT? Live natural teeth have blood vessels and a nerve supply within them in a cavity in the middle of the tooth referred to as the root canal system. In certain circumstances, the live tissue in this root canal system can die and become infected. This can lead to pain, swelling, the production of pus and will need urgent treatment. If such a tooth is painful, then a dentist will drill into the dead tooth to release the infected material within the root canal system and then thorough irrigation will be carried out to leave the root canals as clean as possible. Then the root canals are cleaned out using high-frequency vibration and irrigation. Finally, the canals are dried and dressed with a calcium hydroxide dressing material. 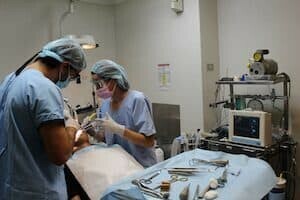 The next visit will allow the canals to be washed out and dried and then each canal will be filled with a firm rubbery material called gutta percha and each canal filling is sealed in place with a root canal sealer. Finally, a filling is placed in the access hole to seal the cavity from the mouth. 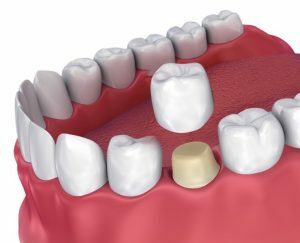 Teeth that have received root canal therapy are often weaker and require a crown to cover the entire crown of the tooth to provide additional strength for the tooth to prevent fracture. MY DENTURES ARE LOOSE, WHAT CAN I DO? If your denture is a complete denture, replacing all the teeth in a jaw then you should discuss how to best deal with the problem by speaking to your dentist or dental prosthetist. If you have had the denture for many years then it most likely needs to be replaced. If you had the complete denture made in advance of the removal of your remaining teeth and it was inserted at the end of the extraction process, then it is called an immediate denture. Such a denture is expected to become loose as you heal up and as the soft tissues firm and tighten up. When this happens you simply need to have the denture relined. This is done either by your dentist or dental prosthetist and it consists of adding denture material to the fitting surface to make it fit exactly to the new shape of the healed tissues. If you have a denture that replaces only some teeth then it is a partial denture and can be either all acrylic or a metal alloy skeleton design with the addition of acrylic teeth and some pink acrylic to replace missing gum. If a partial denture becomes loose then it must be examined and checked for damage or to establish if the fine metal claps that fit around existing teeth have become broken damaged or bent. Often such dentures never fit the same again and it is best to simply replace them. MY JAW JOINT HURTS, WHAT CAN I DO? There are many reasons that can lead to pain in the jaw joints or in the muscles that move the jaw during chewing. These conditions vary from fracture of the bone due to trauma, damage to the fibro-cellular disc in the joint, spasms of the muscles associated with jaw movement or arthritis arising from wear and tear. Diagnosing the problem can rely on both physical examination and X-ray examination. 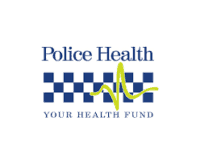 Once the problem has been identified, it is important for the clinician to explain the nature of the problem and how treatment is likely to help. 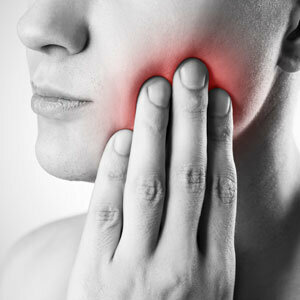 There are a number of ways to treat such problems that are often classified as temporomandibular dysfunction. It may be possible to fit a splint of which there are several designs that are available. They all have a place in the treatment options but their design varies depending on how they are to help the patient. Disc damage can often be repaired by the patient’s own tissues as the disc is a mixture of cells and fibres and the cellular element has the potential to grown new tissue and self-repair the joint. Sometimes damaged particles of disc or cartilage can become free-floating foreign bodies in the joint and they may have to be flushed out and removed. Rarely is surgery necessary but there are cases where after 3D scanning, a replacement jaw joint can be used to replace the natural joint. Such surgery is relatively rare and only provided by specialised surgeons. 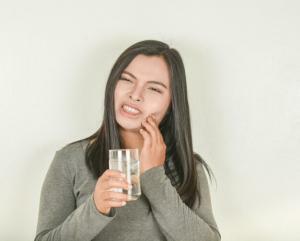 MY TEETH HURT WITH COLD DRINKS, WHAT CAN I DO? Teeth are alive and have a nerve supply, so stimulation by excessively cold drinks or ice can cause dental pain. However, generally, there is an adequate thickness of tooth structure between the stimulus like a cold drink, and the nerve tissue. When a tooth has a large cavity then the thickness of tooth structure between the cold stimulus and the live tooth dentine can be relatively thin and this will allow the stimulus to reduce the temperature of the dental nerve causing pain. Other teeth may have microscopic fracture lines in the tooth structure and the application of hot or cold stimulus may stimulate these fracture lines leading to a painful sensation. A tooth that has received a very large or deep filling can also stimulate the nerve of the tooth and once again lead to pain. One of the most common reasons for sensitive teeth is the exposure of the root surface of the tooth due to gum recession. The dentine of the root has no enamel covering and therefore there is very little between the hot or cold stimulus and the nerve tissue. When teeth become sensitive it is first important to diagnose accurately and identify why the problem exists. Once diagnosed it can be very easy to select a treatment that will prevent future pain. There are various mineralising substances used to “pump” mineral into the tooth structure and this can help to obliterate the tiny dentine tubules and thereby block the stimulation leading to pain. MY TOOTH HURTS AFTER I HAD A FILLING, WHAT SHOULD I DO? After drilling into the tooth, there is a soft tissue response within the root canal soft tissue described as an inflammatory reaction. Inflammation leads to an increase in the capillary blood pressure within the root canal system felt as throbbing by the patient. If the inflammation is early in its development, then the use of anti-inflammatory drugs may help to return the temporarily increased pressure to normal. Some teeth remain inflamed and recovery is not possible. These are described as being irreversibly inflamed. They cannot return to help and we, therefore, elect to remove the live tissue from the root canal system and then root fill the tooth re-restore the tooth. 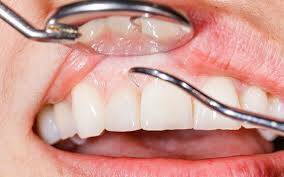 Another reason a tooth may hurt after a filling is that the filling has been left too high and when the patient bites the teeth together there is an excessive force applied to just the tooth where they is too much filling. The problem is identified easily by using a coloured marking tape when the patient closes together to leave marks where the teeth meet. If the contacts are not evenly distributed around the teeth but rather there is a single heavy contact on the filling, then the filling needs to be re-contoured to achieve a “correct bite”. This ought to be done every time a filling is replaced to ensure the bite is never changed. MY GUMS BLEED WHEN I BRUSH, IS THIS NORMAL? Simply put the answer is NO! 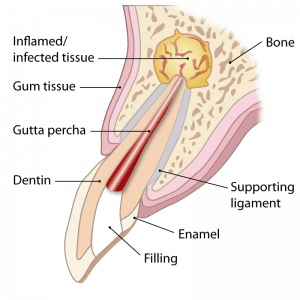 Gums should not be inflamed. If they are then when a dentist or hygienist uses a periodontal probe gently, it leaves the gum bleeding and this is a sign of inflammation. Such inflamed tissues will bleed when brushed and may do so every during chewing. Inflammation can be of two types. It may be either defensive or destructive. If it is defensive then it is there to protect the gum from the toxic products of plaque that has been allowed to accumulate. This is a condition called gingivitis. The condition is reversible and no bone is destroyed around the tooth. On the other hand, if the inflammation has caused bone loss, then the condition is called chronic periodontitis. This can progress to the point where teeth become abscessed, loose and grossly infected. If you find your gums bleeding when you brush, you should be calling the dentist for an appointment and they can verify what treatment is required to achieve health again. MY TEETH ARE UNEVEN AND LOOK BAD, HOW CAN I MAKE THEM LOOK BETTER? Misplaced teeth and uneven or crowded teeth may benefit from orthodontic treatment. This requires careful planning and a range of X-rays to assess the teeth and the jaws accurately before a detailed treatment plan is formed. Patients in the practice are referred to the Townsville Orthodontic Specialists for this type of treatment. An Orthodontist is a dentist who has undergone an additional 3 years of specialist training in addition to the basic 5-year dental degree. They are highly specialised and use a combination of radiographic techniques and computer programmes to arrive at an accurate treatment plan to provide slow and careful movement of the teeth to end up with an attractive dental appearance that functions well and provides the patient with a great smile. You may have to wear tooth retainers at night to prevent relapse of teeth back towards their previous positions but wearing retainers is comfortable and will maintain the excellent tooth positions and attractive appearance the orthodontist achieves. I HAVE DENTAL IMPLANTS AND MY GUM BLEEDS, IS THIS NORMAL? Bleeding from the gum around a dental implant is an alarm bell! The tissues only bleed when they are inflamed. If you think that there is any bleeding from sites where you have dental implants you need to act now. Call your implant dentist and arrange for review as soon as possible. Early treatment can re-establish health but left too long, and the implant may be severely compromised. MY TEETH ARE STAINED, HOW CAN I MAKE THEM LOOK BETTER? Staining on teeth can result from the attachment of pigments from tea, coffee and other foods containing pigments including spices used in cooking. These are easily removed using modern high-frequency vibration hand-pieces used in this practice. We also use an AirFlow hand-piece that uses air pressure and abrasive particles to leave a smooth and clean surface. 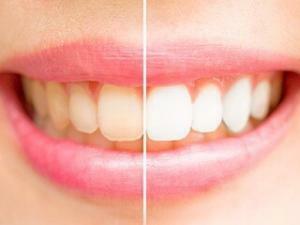 Some stains may be part of the tooth, called intrinsic staining. These may arise due to root canal therapy or too much fluoride ingested during tooth formation. This form of tooth discolouration cannot be removed by either cleaning or AirFlow techniques and may require alternative methods. Darkened teeth that have been root filled may sometimes lighten up considerably by bleaching them internally while other teeth with intrinsic staining of the enamel may benefit from tooth whitening using Hydrogen peroxide in a bleaching tray. This type of treatment is available here but before any treatment is planned, the discolourations need to be diagnosed so the correct technique is applied. MY GUM AROUND MY DENTAL IMPLANT IS RECEDING, IS THIS NORMAL? This is confirmation that the bone around the implant is being destroyed in a condition known as peri-implantitis. Without treatment, it will continue to progress and the implant will be lost. Where the gum recedes, it means there is no bone under the soft gum tissue to support it and so the gum recedes following the disappearing bone. If this condition is identified early enough, then you can often halt its progress and with surgery, it is possible to re-establish the initial bone level and bone volume and then finally achieve health gum around the implant. Every case is different and you need to have a detailed examination and assessment before you can find out what can be done. 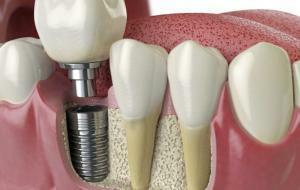 I'M INTERESTED IN DENTAL IMPLANTS, WHERE DO I GO TO FIND OUT MORE? If you are interested in implant therapy, you need to have the appropriate X-ray investigations involving 3D imaging in order to find out if you are suitable to receive this type of treatment. You need to see a suitably trained and experienced implant dentist if you are considering this type of treatment. Dentists have access to implant training but the courses vary considerably in length and in how thoroughly they cover the immense topic of implant dentistry. Ideally, you need an implant trained dentist with considerable experience not only for the assessment and treatment planning stages but for the surgery and in the restoration of the implant with a crown or with other prosthetic devices like implant supported or retained dentures or bridges. The assessment stage is the most important when planning implant dentistry and 3D scans are necessary for all cases. Detailed pre-planning means there are no nasty surprises during the surgical stages and all procedures can be planned in precise detail so that the ideal implant can be chosen in terms of design, diameter and length. If bone grafting is likely to be required this too can be pre-planned and full detailed information can be made available to you before you sign consent for such treatment. Dr Priestland trained under the International Team for Implantology system completing his advanced treatment course at the University of Berne in Switzerland in 2002. Since then he has attended many short courses and international conferences, he is a senior lecturer at the James Cook University teaching on the Implant Diploma Course and has authored a chapter on implant dentistry in a textbook by Elsevier – “Practical Periodontics”. HOW DO I KNOW MY DENTIST IS EXPERIENCED IN DENTAL IMPLANTS? If you are going to have implants placed it is sensible to have more than one opinion and more than one estimate. The most important benefit of this is that you get to see two or more different people approach the same problem, possibly in different ways, and get a feel for their knowledge and their ability to communicate with you. It is also good for you to see how they go about planning your implant treatment. Make sure they incorporate the use of cone beam volumetric tomography 3D scanning and that they use 3D planning software to ensure accurate implant placement and appropriate implant choice. Ask them how long they have been performing implant surgery, where they trained and how long they trained. After all, you are going to allow your surgeon to operate on you and you want to be sure they are going to provide you with a good clinical outcome. Ask about the implant system they use. Some implants are made of pure commercial Grade 4 Titanium. These are the best systems and there is a huge database of research to support this type of implant over many long term trials. More recently many new companies have come to the market place hoping to gain a share of this implant income and there are many that offer Titanium alloy systems. This means the implants are not pure Titanium but rather are a mixture of Titanium and other metals. It is a professional choice and one based only on performance, not on any financial factors, but Dr Priestland only uses pure Titanium implants.